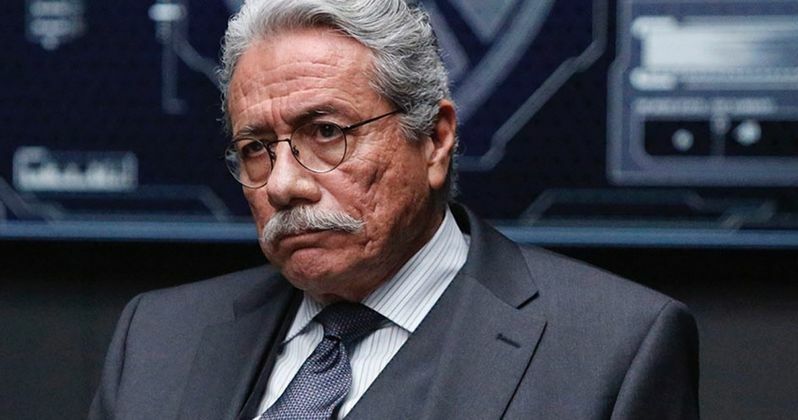 It was announced back in March of 2017 that veteran actor Edward James Olmos was cast in Shane Black's The Predator. However, the actor now says that his role was completely cut out of the film due to time constraints. This is a normal practice in Hollywood productions, but The Predator seems to have been pretty rocky from the get go. The film is still undergoing reshoots and it is set to be released next month after being delayed a few times. The good news is that everything seems to be finally falling into place for the project now. Edward James Olmos is out promoting the Mayans M.C. series, which he has not been cut from. Olmos revealed that Shane Black and crew had to cut his character in The Predator to shorten the runtime of the movie. The actor understands why his character was cut and he holds no ill will. Olmos had this to say about the reason he was cut from the film. "I'm not in the show though. It was too long so my character, they had to take me out. They were like half an hour, 3/4 of an hour too long. So I understand why." The Predator was first announced in 2014 and as previously noted, the production has been a bit rough. In addition to Edward James Olmos being cut out, the film has gone through numerous reshoots, with one entirely changing the ending. Last week, The Predator went back in for reshoots because the studio reportedly wants the hint of a sequel planted towards the end of the movie. While a lot has been going on behind-the-scenes, all of the changes have been for the greater good. If Edward James Olmos is correct about 30 to 45 minutes of footage being cut from The Predator, we could be looking at a pretty lean movie, which is a good thing. Plenty of current action and thriller movies are well above the 2-hour mark, with some even pushing 3 hours, so we could possibly see a new installment from the franchise that is less than 2 hours-long. The official runtime for The Predator has yet to be revealed, but that announcement will be made in the coming weeks before the film hits theaters. The Predator opens in theaters on September 14th, but Edward James Olmos won't be in it. If a director's cut is made of the film, Olmos' 4-star general character will more than likely get put back in the movie. As for alternate cuts of the movie with the different endings, director Shane Black is doubtful that will happen for the Blu-ray release unless the studio wants to shell out an extra few million bucks to finish the digital effects in the unused scenes. You can read more about Edward James Olmos being cut from The Predator over at Slash Film.